Interesting concept, writing anything you want and posting it on the Internet. I have to admit, I knew little or nothing about blogs until just recently. Now I'm hooked! I could spend hours pouring over every creative, decorating and family blog I can find. The only logical thing to do now is to give it a shot myself. So, here goes nothing.... My very first blog post! I'm beginning by remembering a Mom Cave post and contest I entered last week. It got me thinking.... I love to decorate and I'm always creating something new or changing something old into something new in my own house. 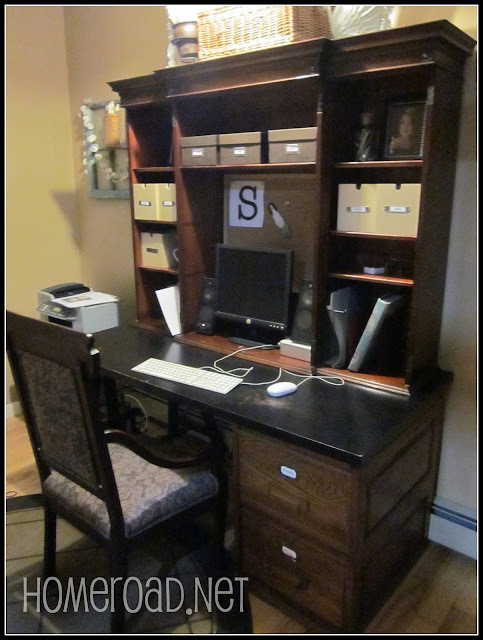 What could I do to improve the look of the plain old desk I want to use to do my blogging? After all, it needs to be comfortable, and it needs to be stylish.